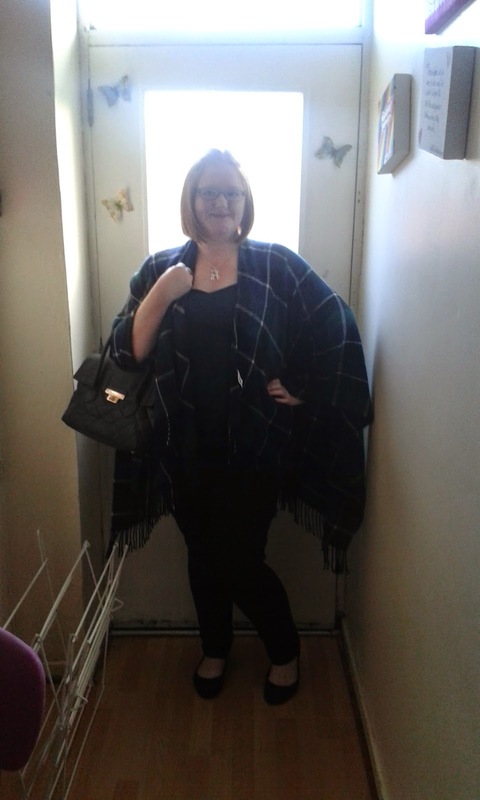 This is my first EVER outfit post on Voluptuous Chatterbox and there's a very special reason why I chose it! I've been nervous about posting pictures for quite sometime but after yesterday I came to the decision that... I don't care what anyone says about me.. 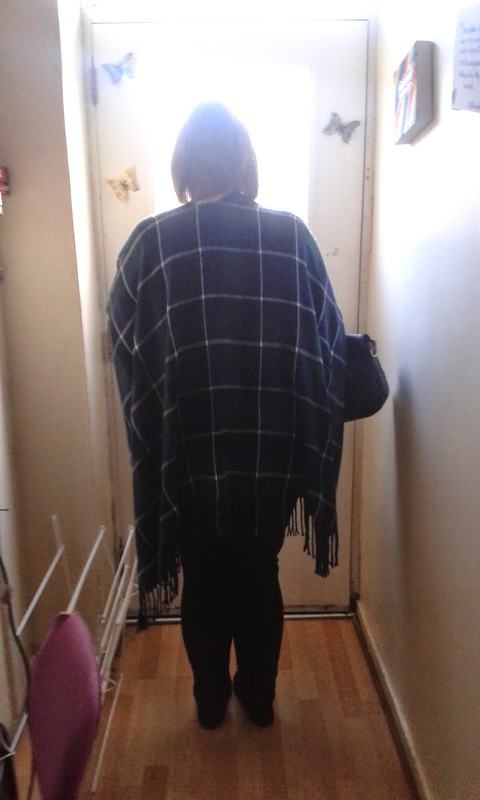 Ever since I first wore my cape in college there have always been jokes about me wearing a rug that you'd find at the back of a car.. These jokes have came from 1 guy in my class... until yesterday they didn't bother me until that is he said that it has a dog to match! That I'm a dog therefore it suits me! Normally I'd get upset but I didn't.. I was composed and carried on with my work. (Nosying on New Look instead) But it was humiliating and I know in myself if someone says something about me or what I wear I wouldn't wear it again but I love this! What do you include in your outfit posts? Any tips for me? I have to agree with you and they're so easy to style with anything plus with this month it's lovely and cosy! 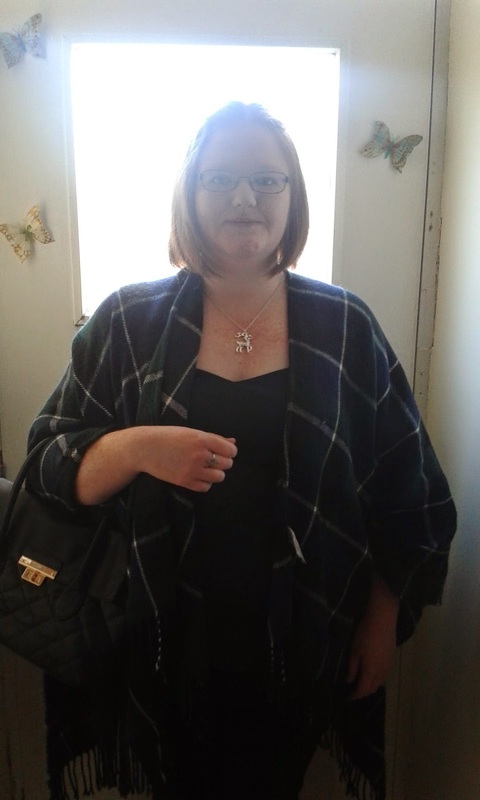 That cape looks great on you and your whole look is really well put together and flattering! I tried one on very similar in House of Fraser and loved it! However it was purple and green check and I was looking for a plain black one so my hubby made me put it back (meanie). The kid with the insults is such a typical bully you must be so bored of him, that's probably why he thinks he's so clever in stepping it up a notch; but you've blown him out of the water with your response! You are a smart, sassy young woman and, for whatever reason (we all have our demons) you clearly scare the hell out of the little boy he still is inside. I hope you're proud for making such a life-affirming decision not to let the b*****ds get you down; I wish I'd had your courage and maturity at your age. But enough of that. I like your style Kerry-Ann, and look forward to seeing more of your outfit posts! Thank you so much! I'm new to this so that is encouraging! :D Ohhh it sounds lovely! I wonder if they still have them.. :-/ Was this recent? :) haha definitely! Did you find one? 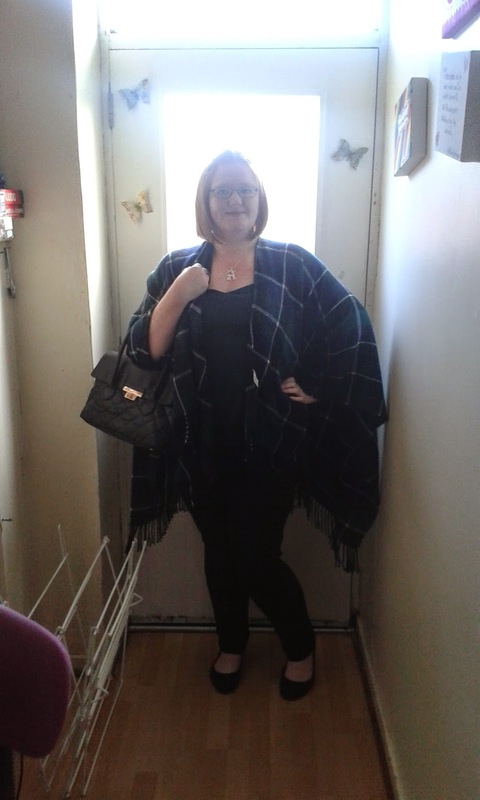 The cape is lovely, I really like it and must say it is something I have never worn but I am well tempted be over damn spending ban! The boy in your class sounds like a total knob jockey! Wear it with pride and tell him if he is nothing and you really don't care about his opinions and his own style aint all that (I'm sure its not) anyway keep being splendid and rising above the fools that share our oxygen! Cute cape, and don't let a-holes get you down. Your first post is great, but I will suggest not having the light behind you. It makes the front of your outfit look dark, and we can't see the details. Taking pix outside usually has the best lighting. I think you look fab, and as all the others have said here you should continue to ignore that idiot in your class. The cape works really well on you and I like how you've teamed it with jeggings to keep the look simple and effective. A late hello to 2015! Happy New Year!